Apartment in Palermo Soho, Buenos Aires - Soho Loft ! Light filled, 380 square feet studio apartment in the heart of Palermo Soho with terrace and daily maid service – Your personal pad in the City! 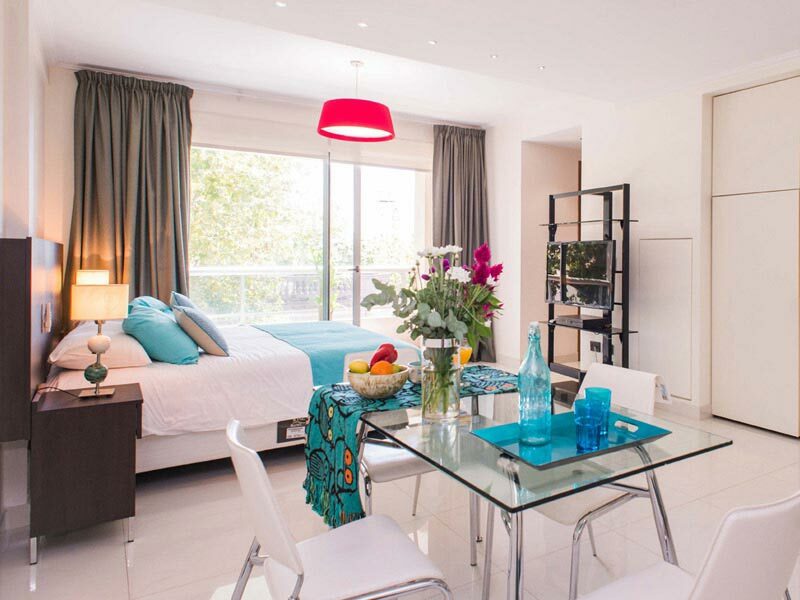 This well appointed studio apartment for rent in Buenos Aires is located just three blocks away from Plaza Serrano, purpose built in 2009, it’s a very real alternative to a confined hotel room. The building houses seven apartments and its central location, modern contemporary feel, and high quality finish makes it great base from which to explore Buenos Aires. Spacious at over 380 square feet, this studio features an open plan kitchen area, chic furniture and comfortable seating. The sleeping area has a queen size bed and can be split into two singles if needed. The apartment is bright and airy with sliding glass doors opening out onto a balcony area with views over the courtyard below. The building benefits from a communal lounge area where you can mingle with other residents if you so wish and further seating in the courtyard area where you can relax and unwind at the end of an action packed day, whilst contemplating the night ahead. This truly is a great apartment in a great location and represents great value for money. 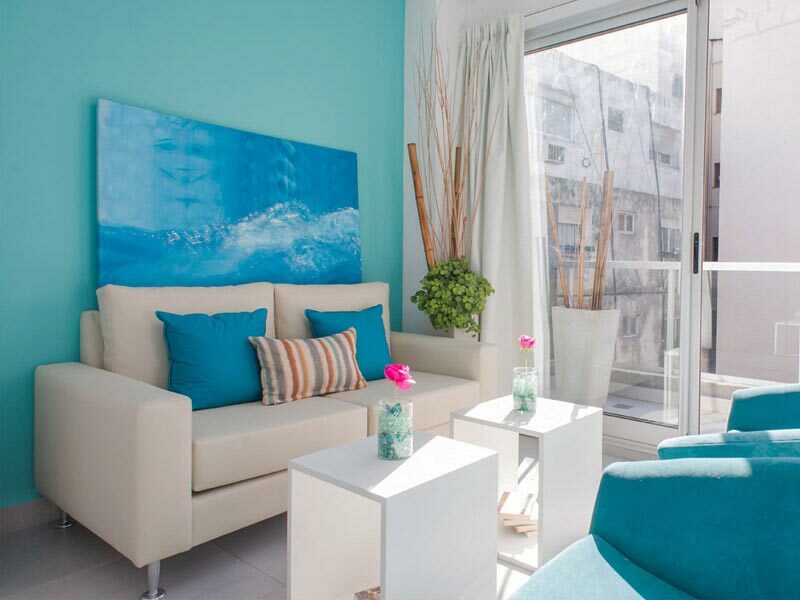 To take a peek at our full selection of apartments for rent in Buenos Aires, click here. Questions? Get in touch with us. We loved the property, we loved the location, the decor, the view, all the closet space. My daughter and I had an amazing stay! Thank you! The Concierge staff were fantastic and they really made my trip a lot less stressful and a lot more fun. Keep up the good work. Everybody was very professional from the moment we first made our enquiry. We couldn't believe just how simple the booking process was. They accomodated us in every way! Anyone wanting to travel to Buenos Aires should contact StayUnico. They looked after us so well and made our experience unforgettable. a big thank you to you guys for making our anniversary trip so special.